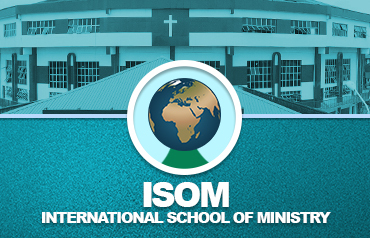 The international school of ministry is an arm of the word of life bible church under the leadership of Pastor Ayo Oritsejafor. It is a trainning session that is beneficial to the life of every believer. As you walk with God, some unanswered questions are bound to arise some of which can be well dealt with in ISOM. Furthermore, the fundamental doctrines of the faith and what makes christianity more of a life rather than a religion is taught. Here at ISOM, the programme is structured to span for a year. The one year period is made up of 4 semester each spanning approximately three (3) months. Each semester comes with it's own peculiar courses which all students of ISOM are expected to take and sit for the exams. The training programme is very flexible since it runs both morning and evening sessions. Students have the options of attending either of both sessions depending on the nature of their schedule. Application usually opens and spans for two (2) months between December-January each year. Forms are available at ISOM. We do not currently offer distant learning option so all students are expected to resume at the venue of the institution. The pastor seeking a God-given strategy to reach his community for Jesus Christ. The layman (doctor, architect, plumber, electrician, contractor, builder, janitor, engineer, housewife, etc) who wants to be used of God in his sphere of activity. Young people, who sense the need to supplement their secular education with ministry training. The believers who desire to be used of God in a demonstration of His power in the end-time spiritual harvest.